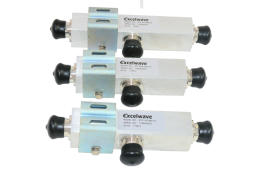 Excelwave Technologies designs and manufactures all types of system components in house from 30MHz-40GHz for LMR, satellite, military, utility, cellular, transport, DAS and other applications. All components are customizable​. PIM certified components are available upon request. Isolators and Circulators: Coaxial, drop-in, surface mount, waveguide and microstrip, 30MHz-40GHz, 2W-500W, broadband and narrow band. 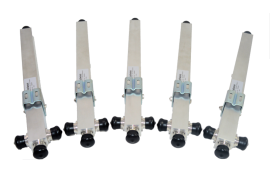 Hybrid Couplers: High power wide band, 80-2700MHz, 200W-300W. 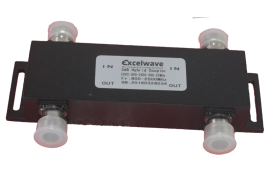 Loads and Attenuators: DC-18GHz, 0.5W-300W. Power Splitters: High and low power.